United Nations, United States: Myanmar has failed to put in place conditions for the safe return of 688,000 Rohingya refugees who fled an army crackdown six months ago, the UN refugee chief said Monday. The refugees are sheltering in makeshift camps in Bangladesh despite an agreement reached between Myanmar and Bangladesh allowing for their return to Rakhine state. “Let me be clear: conditions are not yet conducive to the voluntary repatriation of Rohingya refugees,” UN High Commissioner for Refugees Filippo Grandi told a council meeting, speaking by videoconference from Geneva. Myanmar regards the Rohingya as immigrants from Bangladesh and denies them citizenship, even though they have been there for generations. An advisory panel led by former UN chief Kofi Annan has called on Myanmar to grant the Rohingya citizenship and allow them to return to their homes. 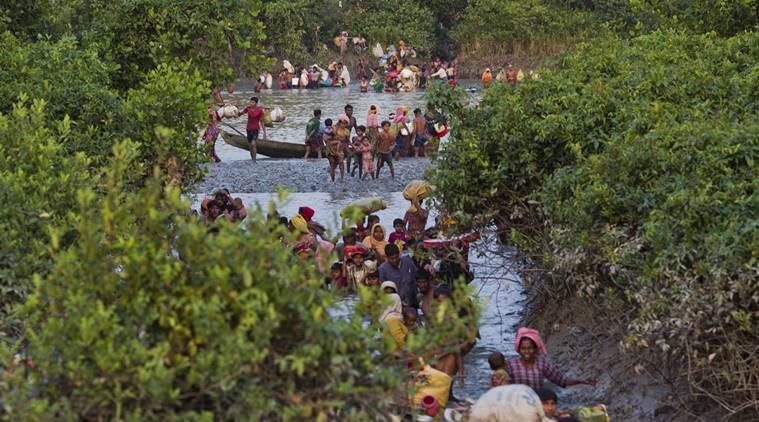 The United Nations has accused Myanmar forces of driving out the Muslim Rohingyas in an ethnic cleansing campaign. China, a supporter of Myanmar’s former ruling junta, called for patience and noted that “stability and order” had been restored to Rakhine state. The Rohingya crisis “cannot be solved overnight,” said Chinese Ambassador Ma Zhaoxu. Measures should be adopted by Myanmar “to address the root cause of poverty through development” in Rakhine state, he said. The meeting came nearly three months after the council adopted a statement demanding that Myanmar rein in its security forces and allow the Rohingya to voluntarily return. The UN refugee chief said that while the exodus of refugees had been significantly reduced, the flow “still continues,” with some 1,500 refugees arriving in Bangladesh this month. The council is demanding that aid workers be allowed to reach those displaced in the violence inside Rakhine state. Grandi also raised alarm over the monsoon rainy season starting next month, warning that 100,000 refugees were living in flood-prone areas and must be urgently relocated.